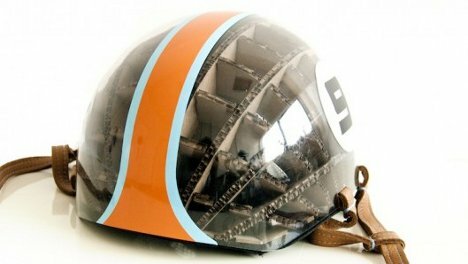 If you were going to design a bike helmet, cardboard might not be the first material you would think of. But why not? Cardboard arranged in an interlocking honeycomb pattern can be surprisingly strong. 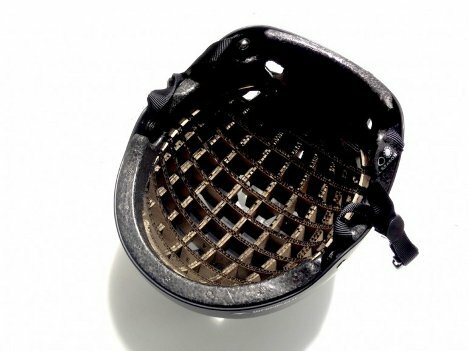 So strong, in fact, that it can withstand impacts better than the traditional expanded polystyrene (EPS) bike helmet. The Kranium was designed by Royal College of Art student Anirudha Surabhi, who got the idea after a scary bike accident of his own. He was inspired by the incredibly resilient skill of the woodpecker which, thanks to a corrugated cartilage structure, can withstand near-constant impact without causing brain damage. Surabhi figured he could use the same concept to protect human brains as well. Surabhi’s Kranium helmet is waterproof, made of recycled cardboard, and designed to allow for some small degree of flexing in order to absorb impact rather than staying rigid in the case of an accident. 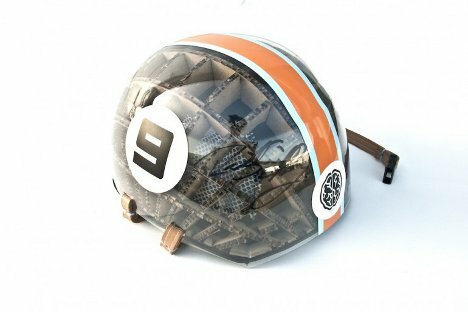 It does this while boasting a weight that is about 15 percent less than standard EPS helmet. But most impressive of all is that the Kranium can withstand roughly three times the impact of traditional helmets. The Kranium should be available for purchase in the very near future.